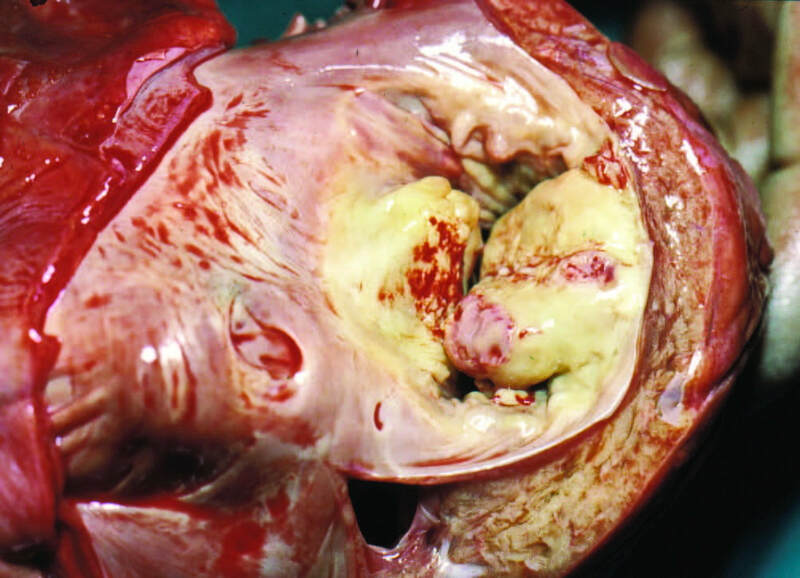 Exudative and proliferative inflammatory alterations of the endocardium, characterized by vegetations on the endocardial surface or within the endocardium. It may occur as a primary disorder (infective endocarditis) or as a complication of or in association with another disease (e.g., lupus erythematosus, rheumatic heart disease). Within and around cardiac structures. On valve of supporting structure. In path of a regurgitant jet. Serologic evidence of active infection, with organism consistent with IE. Consistent with IE (but not meeting major criteria). 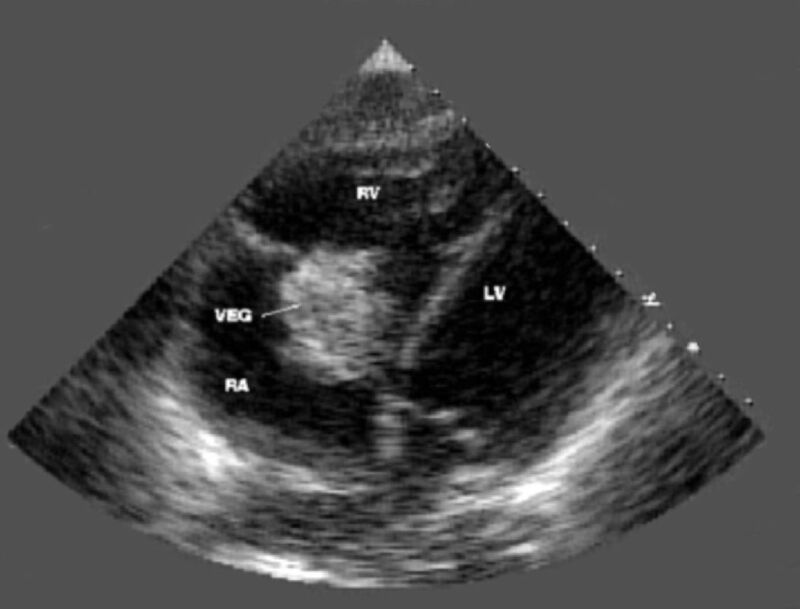 Echocardiography Is the imaging of choice for all cases with clinical suspicion of endocarditis. 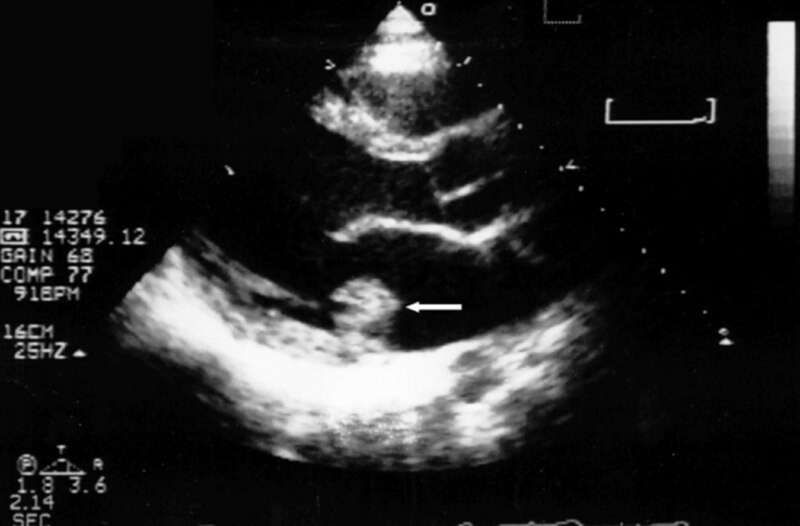 Echocardiogram should be repeated weekley if the first TOE study was not conclusive. 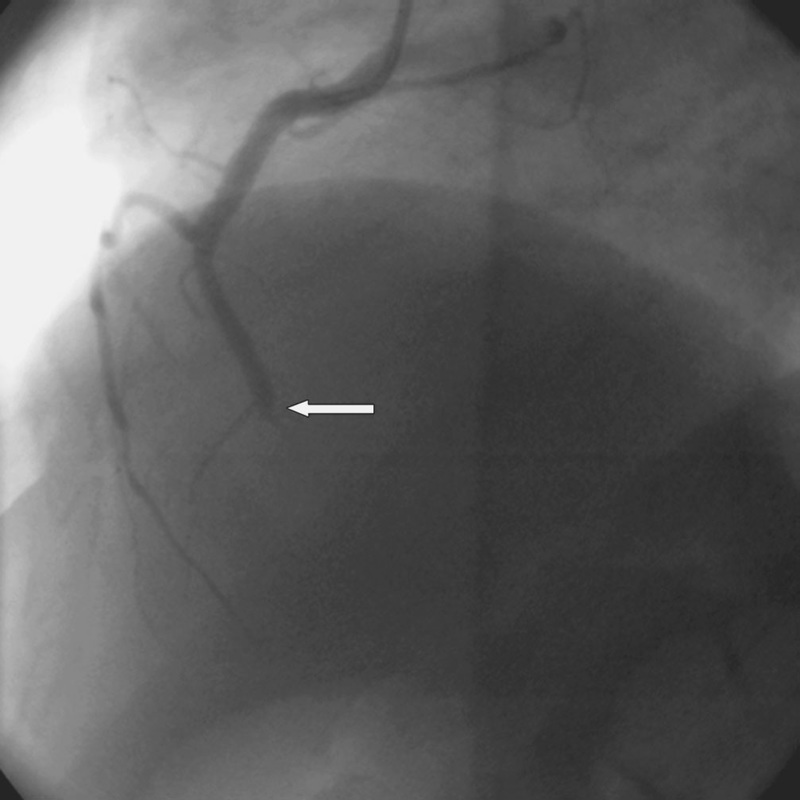 Persistent vegetation after systemic embolization. AML vegetation (particularly > 10 mm in size). One or more embolic events during first 2 weeks of antimicrobial therapy. 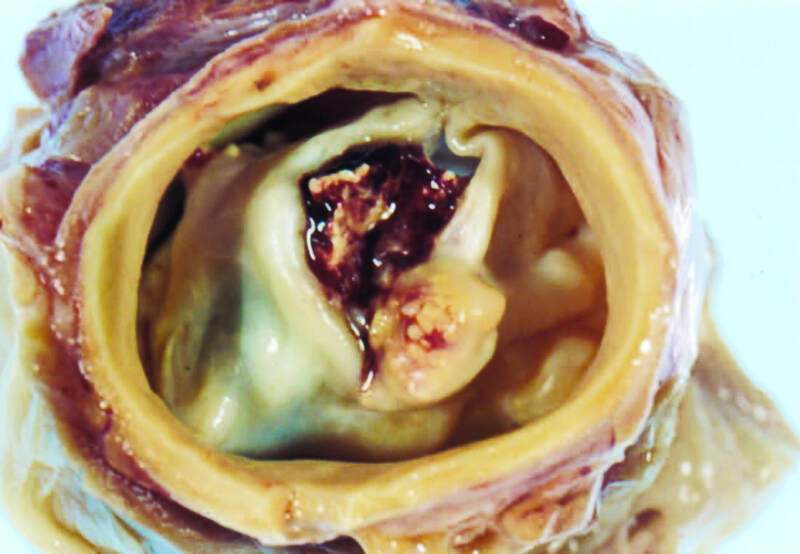 Two or more embolic events during or after antimicrobial therapy. Increase in vegetation size after 4 weeks of antimicrobial therapy. 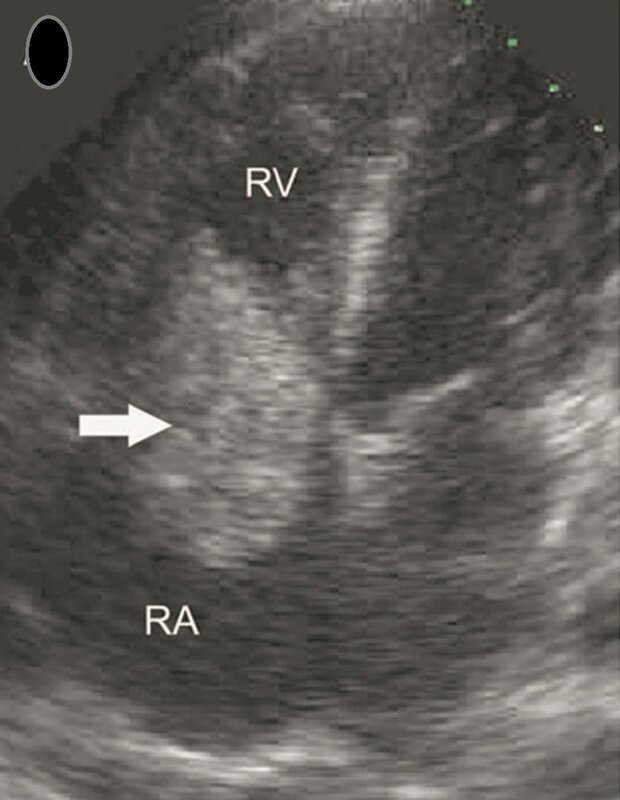 Acute AR or MR with signs of ventricular dilatation. Heart failure not responding to medical treatment. 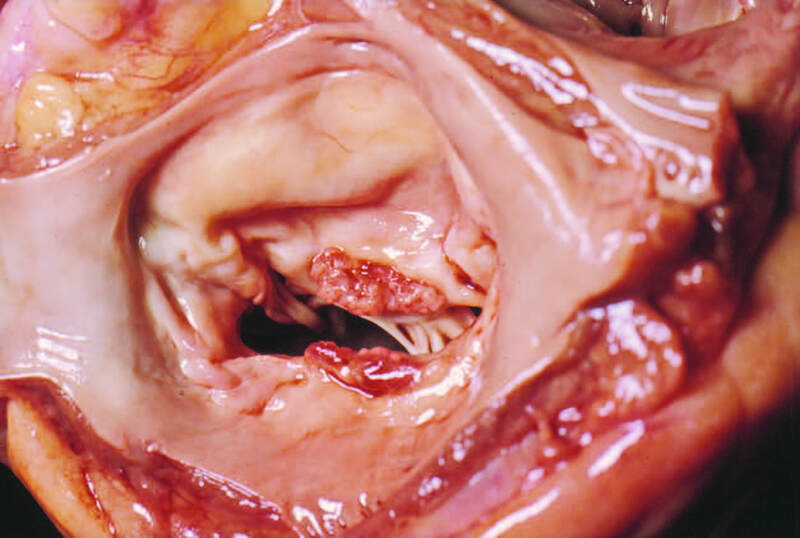 Valve leaflet perforation or rupture. 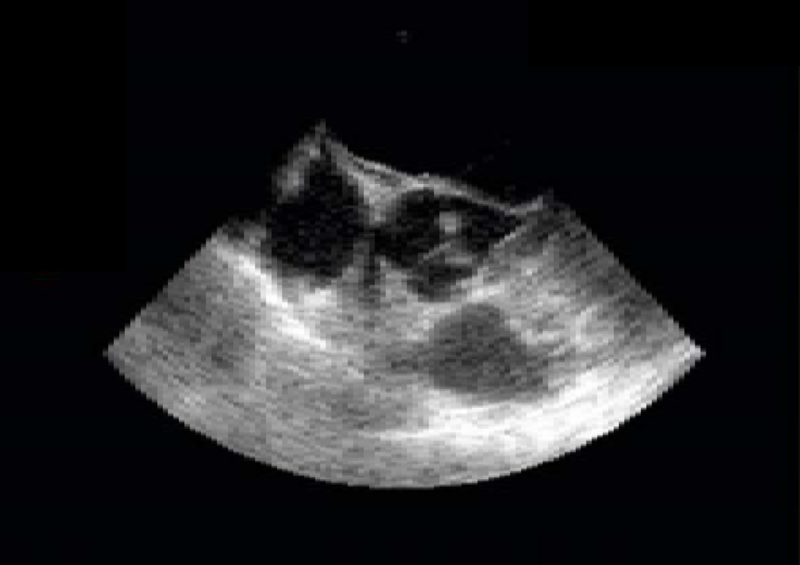 Valvular dehiscence, rupture or fistula. Large abscess or extension of abscess despite appropriate antimicrobial therapy. 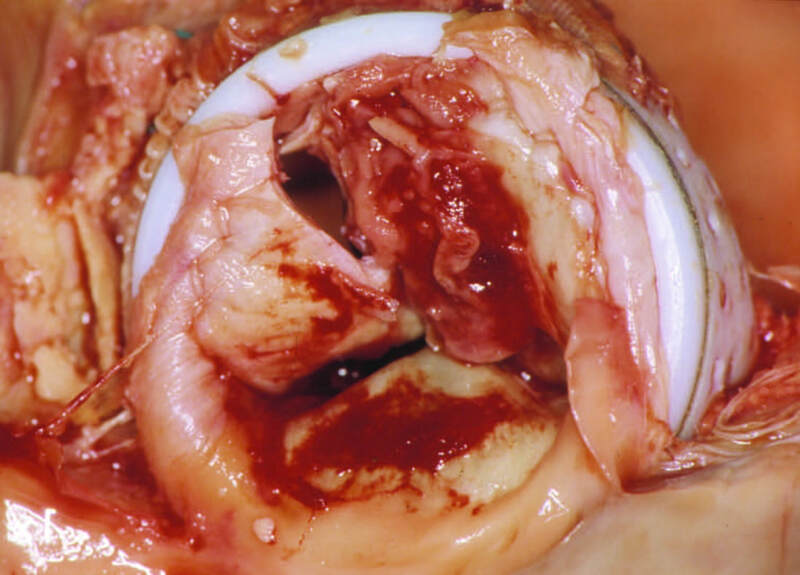 Partial Detachment of a Mitral Prosthetic Annuloplasty Ring due to Suture Dehiscence. 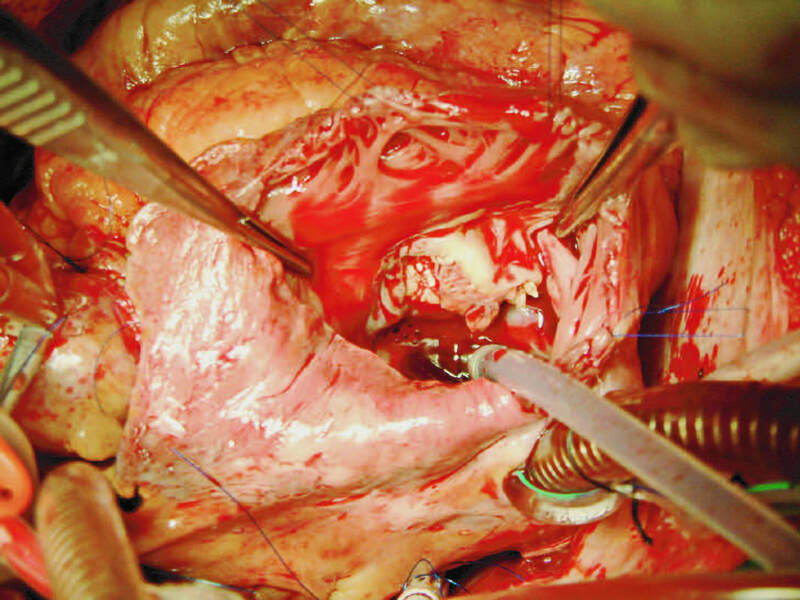 (separation between the mitral annulus and the prosthetic ring). valve obstruction ​by vegetations (rare). Recurrent emboli despite appropriate antibiotic therapy. Large vegetations (>10 mm) after one or more clinical or silent embolic events after initiation of antibiotic therapy. Large vegetations and other predictors of a complicated course. Very large vegetations (>15 mm) without embolic complications, especially if valve-sparing surgery is likely (remains controversial). Silent neurologic complication or TIA and other surgical indications. Ischemic stroke and other surgical indications, provided that cerebral haemorrhage has been excluded and neurologic complications are not severe (e.g., coma). Fever or positive blood cultures persisting more than 5 to 7 days despite appropriate antibiotic regimen, assuming that vegetations or other lesions requiring surgery persist and extracardiac sources of sepsis have been excluded. 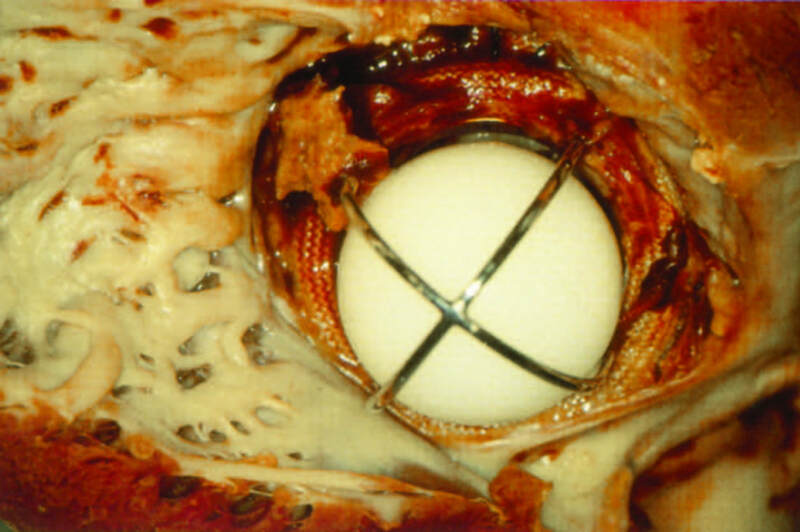 in patients with prosthetic valves. 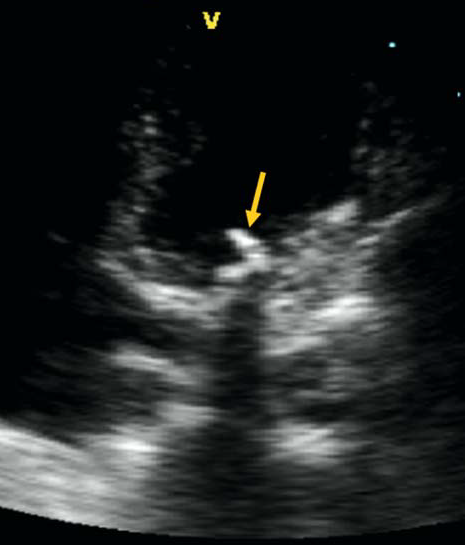 S aureus IE involving a prosthetic valve and most cases involving a left-sided native valve. IE caused by other aggressive organisms (Brucella, S. lugdunensis). IE caused by multi-resistant organisms (e.g., MRSA or vancomycin-resistant enterococci) and rare infections caused by gram-negative bacteria. Q-fever IE and other indications for intervention. Virtually all cases of early PVE. Virtually all cases of PVE caused by S. aureus. 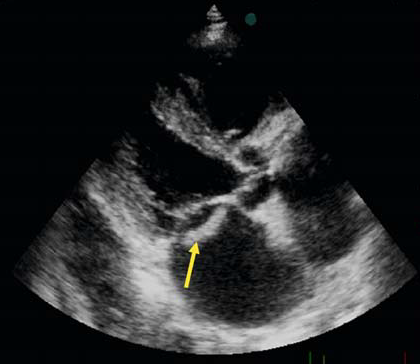 Late PVE with heart failure caused by prosthetic dehiscence or obstruction, or other indications for surgery. Late PVE with persistent bacteraemia, recurrent emboli, or relapsing infection while on appropriate antibiotics. signs of poor hemodynamic tolerance. PVE caused by staphylococci or gram-negative organisms. 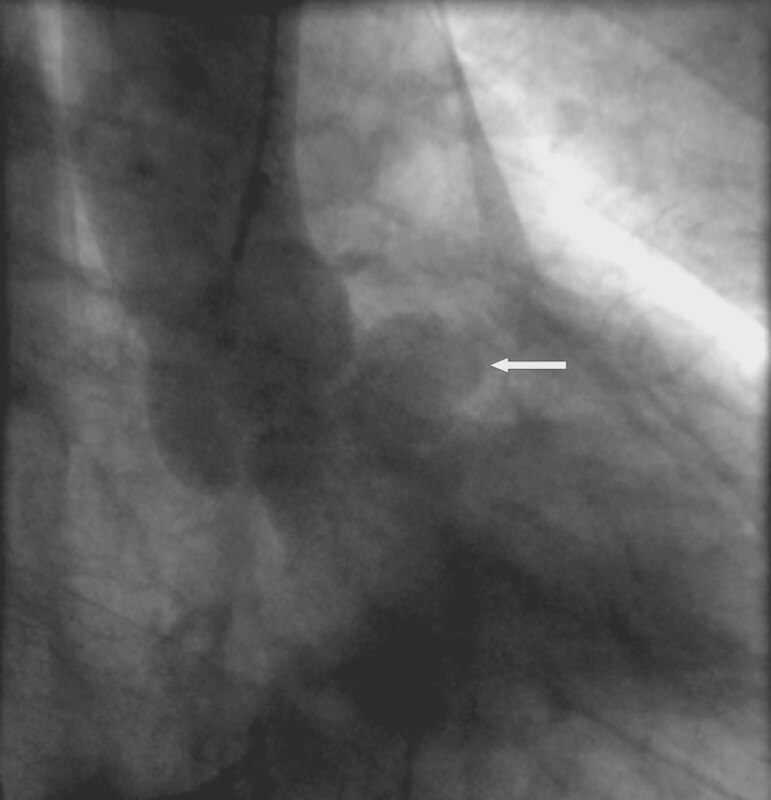 Large vegetation (>10 mm) with an embolic event. Large vegetation (>10 mm) with other predictors of a complicated course. Very large vegetation (>15 mm), especially if conservative surgery is available. 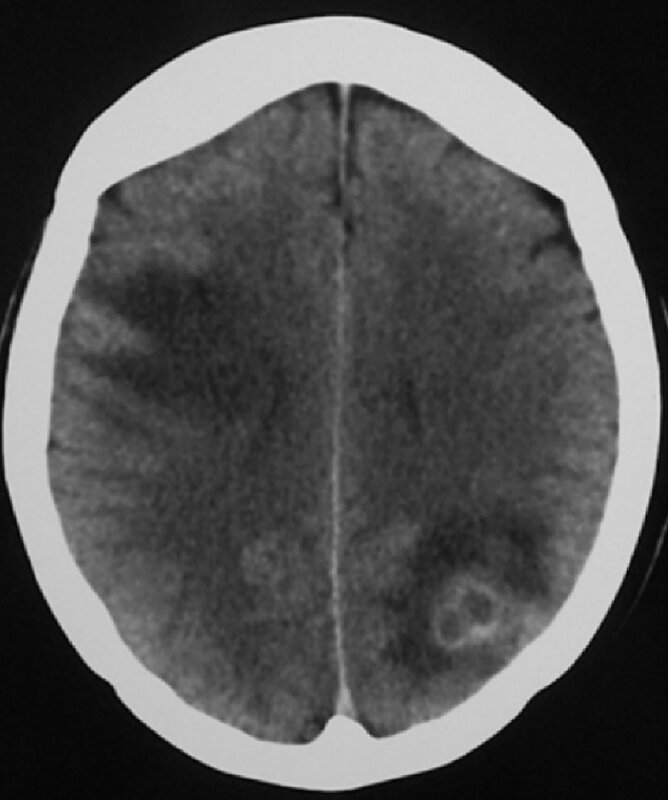 Large abscess and/or periannular involvement with uncontrolled infection. 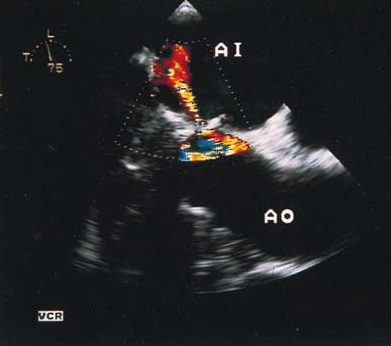 Severe AR or MR with CHF and good response to medical therapy. 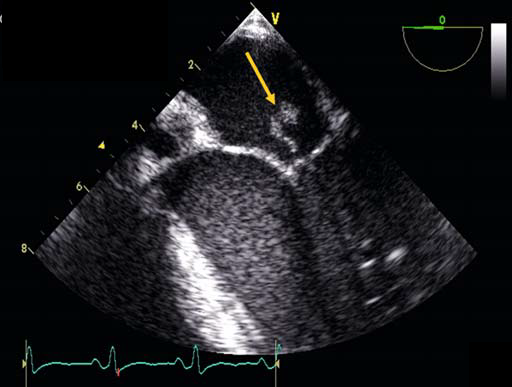 PVE with valvular dehiscence or CHF and good response to medical therapy. 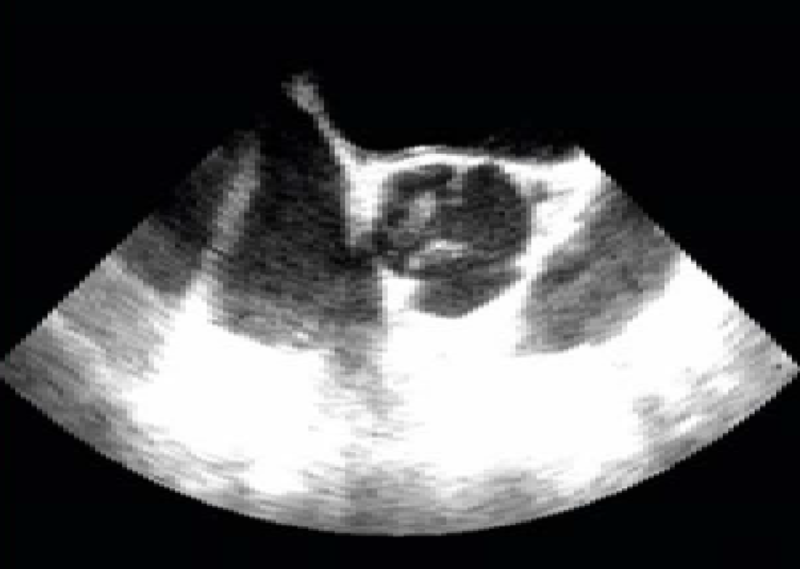 Presence of abscess or periannular extension.